If you want to start taking card payments for your business, you’ll need a merchant account. The trouble is, there’s so many companies out there that seem to do the same thing. How do you know which merchant accounts are the best – and how much they’re going to cost? Fortunately, we’ve compared over 30 merchant accounts from across the UK and beyond. We looked at price, customer support, innovative features, contract lengths, and several other metrics to create the below: a comprehensive list of the very best online payment providers. Do you want an ecommerce merchant account? A mobile card reader, or maybe a way to take payments over the phone? Read on. We’ve also broken down the best merchant accounts by sector. So whether you’re in retail, hospitality, or a ‘high risk’ industry, you can be sure you’re getting a payment service provider that understands your business. Click the links below for in-depth reviews. Or make use of our free quote-finding form, and start comparing top suppliers yourself. First, let’s take a look at five of the UK merchant account providers dominating the card payment industry. Use our comparison chart below to compare credit card merchant services at a glance, or scroll down for in-depth reviews. The numbers don’t lie. Worldpay is one of the largest merchant account providers in the world, processing a mind-boggling 400 card transactions every second. The company offers flexible price plans – including a ‘pay-as-you-go’ option for small businesses – as well as both credit card machine and smart till (EPOS) rental. Payzone is a UK-based merchant service provider specialising in merchant accounts for small businesses. The company boasts competitive rates, transparent pricing, and a minimum contract of just 12 months – one of the shortest in the industry. Payzone is rated “Great” from over 1,000 reviews on Trustpilot, which speaks volumes for its customer service. First Data is a global merchant service provider. And with a minimum monthly service charge of just £5, it also happens to be one of the cheapest merchant accounts in the UK. In 2013, the company partnered with manufacturer Clover, and now offers both the Clover Station till and Clover Flex card machine on a standard rental contract. PaymentSense is what’s known as a payment service provider (PSP). Rather than opening a dedicated merchant account for each customer, it pools transactions in a shared account to negotiate the best rates. This allows it to offer some of the cheapest merchant services for UK small business owners. Be sure to take advantage of its price match promise to get the best deal on card payment services for your business – it just makes sense! Lloyds Cardnet is one of the leading UK merchant account providers. It offers a full complement of merchant services, including smart till and card machine rental. 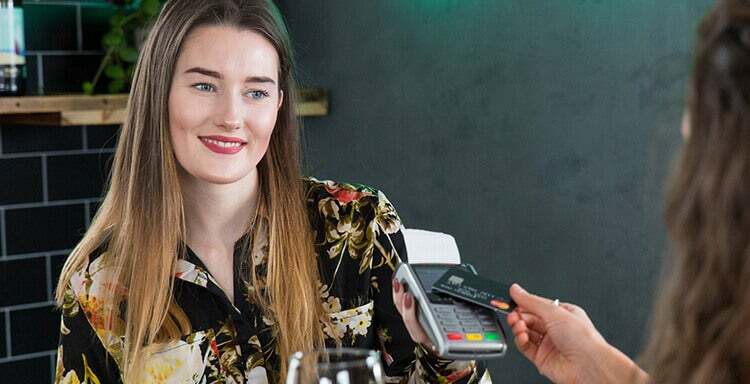 Existing customers are eligible for cheaper rates, so if you have your business bank account with Lloyds, it pays to go with them as your merchant account provider too. There’s a range of (frankly, quite complicated!) factors that make for a good merchant account. But there’s one, above all, that’s as simple as it is important – price. The merchant accounts listed below are there because they’re lighter on the wallet than many of their competitors. That means low transaction fees, price match offers, and even cash back for joining. And the best bit? No compromise on quality. Interested? Read on for the cheapest merchant account providers. UK-based Handepay offers a fast, secure, and straightforward way to accept card payments. Handepay comes with no hidden fees or minimum charges, and it’ll give you £1,000 if you don’t save by making the switch. On top of all this, Handepay is one of the people’s favourites; it clocks in with more than 5,000 five star reviews. And in today’s world of slow customer service and slippery salespeople, that kind of people-focussed approach is hard to come by! Square is a mobile card reader for the modern business. With no hidden fees and zero monthly costs, Square’s pricing plan is as straightforward and simple as its name – and its design. Throw in free POS software and round-the-clock technical support, and Square gets the nod as one of the most superb – and shrewd – mobile card payment options on the shelf. Stripe is one of the UK’s leading online card payment processing companies. It offers a flexible, pay as you go price plan, no hidden costs, and real-time fee reporting. With an honest, transparent approach, Stripe makes receiving online payments easy, and turns PCI compliance into a simple concept. Stripe also flaunts a payment gateway that slots soundly into the look and feel of your website, for the smoothest customer experience. We’ve rounded up seven of the most affordable providers for processing credit card payments. Find out more about the cheapest merchant accounts for UK businesses. Do you need a compact, portable, and low-maintenance solution for taking card payments? A mobile card reader might be the option for you. And it’s your lucky day, because we’ve summarised the top five options money can buy. What is a mobile card reader, you ask? It’s a way to take payments on the go, meaning you can sell your product anywhere where there’s wifi or 3G/4G coverage. Mobile card readers pair with a free app on your tablet, essentially (and literally) putting everything you need to make sales at your fingertips. Read on for our top selections. Or if you’re already sold on the big benefits of mobile card readers, fill out our quick form and start comparing quotes from industry-leading suppliers. Our hipster’s choice, SumUp Air is a trendy and gorgeous card reader perfect for taking card payments on the go. But it’s not just nice to look at; it also boasts some of the lowest transaction costs out there, and no monthly fee. It accepts a huge range of card types, and has superb online customer approval ratings. iZettle emerged out of Sweden in 2010, making waves with a sleek, simple and stylish solution for accepting card payments. And its card reader – the new and improved ‘iZettle 2’ – is quick, charging in a couple of seconds and taking payments in five. The pricing is transparent, with low costs and no hidden fees. And, even though you won’t get phone support at the weekend, its customers don’t seem to mind; the majority of iZettle’s Trustpilot reviews are five stars. 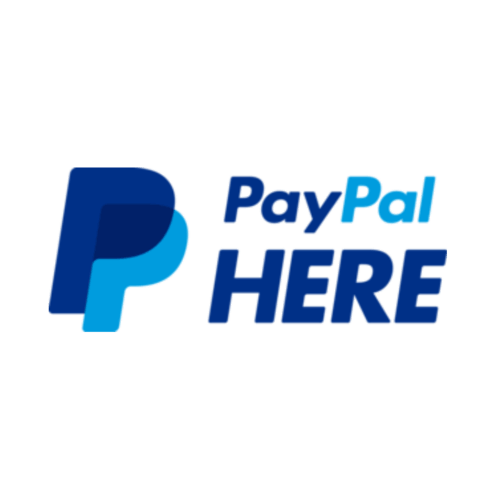 If you’ve already got a PayPal account and want to access funds within seconds, this is the option for you. PayPal Here uses a scaled pricing structure to reward you for taking more card payments. So if your business takes more than £15,000, you can expect to pay as little as 1% per transaction. Combine this with the big brand name and solid customer support that PayPal brings to the table, and you’re looking at big value for your business. Here, here! Looking to mobilise your business with one of these card payment processing solutions? Check out our guide to the best mobile card readers for small businesses for all you need to know. Do you run a travel agency? Perhaps you head up a pharmacy, or a healthcare ecommerce website? Maybe you trade in the world of online gambling or dating? If so, your business sector qualifies as high risk. We know it sounds a bit negative, but all that means is that you’ll need a different type of merchant account to accept card transactions. Certain companies specialise in providing merchant accounts for higher risk businesses and industries. Here’s a few that are doing it well. Flights, hotels, and holiday packages don’t generally come cheap. So travel businesses need a safe way of taking high value payments and avoiding those dreaded chargeback fees. Here are some of the top high risk merchant account providers for travel businesses. Instabill is one of the UK’s leading high risk payment processors. It’s based in the US, and specialises in providing high risk merchant card services for those struggling to find a mainstream provider. Rates are competitive, as are its tailored packages for ecommerce and MOTO businesses. Instabill’s merchant accounts are flexible, which means they’re ideal for selling hotel reservations, flights, and timeshares. Verotel is an internet merchant service provider working with over 50,000 high risk businesses worldwide. Verotel is an ideal choice for international businesses – and if you’re selling big travel packages, lengthy hotel stays, and long-haul flights, it could be the provider for you. Want more? Click to read our guide to the best merchant accounts for the travel industry. Like travel agencies, businesses operating as online or bricks-and-mortar pharmacies are also considered high risk. The companies below will help you get set up with a merchant account for your pharmacy. While not an actual merchant account provider, Merchant Scout partners with over 40 merchant banks. This allows it to ‘scout’ high risk merchant accounts for online or bricks-and-mortar pharmacies. Merchant Scout then brings your high risk business together with the merchant account that best fits the demands of your industry. Simple! Are you a high risk business? Need to take card payments, but haven’t been able to secure a merchant account in the UK? It might be time to look abroad, and see how you can benefit from an offshore merchant account. Offshore merchant accounts have higher acceptance rates and a less thorough application process. There are tax breaks, and overall there’s more flexibility in accepting card transactions. Here are our favourite providers. Based in the US, Payline comes with years of industry experience in supporting high risk businesses. Its offshore merchant account service boasts quick applications and straightforward pricing. Payline also brings to the table a dedicated support team, available 24/7. What’s not to like? GSPay provides offshore merchant accounts to businesses around the world. Offering reliability and competitive rates, GSPay helps take the stress and hoop-jumping out of running a high risk business. It accepts most of the big cards, and integrates with your website to provide a consistent and comfortable payment experience for your customers. If you run a business online – or are thinking about setting one up soon – you’ll need the right merchant account. The ecommerce merchant accounts providers below are perfect for solely internet-based businesses. They take the hassle out of online trading, and give the people visiting your website a quick and pleasant buying journey. With around 17 million businesses around the world trusting PayPal, it’s a truly global ecommerce solution for your business. You can get paid in person, on your website, or via online invoicing. It’s simple to use, and easy to integrate into the unique look and feel of your website. And PayPal’s sliding scale pricing plan means that as your business grows, you’ll pay less and less in fees. Want to build a website for your business that looks amazing, then start selling through it? Shopify’s free tools can help – and don’t require any technical knowledge to set up. Shopify is a smart ecommerce platform that lets you build your business online, from the ground up. It lets you sell through your own online store, as well as on social media and via online marketplaces. And its inbuilt tools will help you drive Google and Facebook marketing campaigns – all from a single, easy-to-use dashboard. Based in the US, 2Checkout provides merchant accounts for ecommerce to 180 countries worldwide, in over 20 currencies. It offers integration with a wide range of shopping cart platforms for ultimate flexibility, and accepts most major credit cards. 2Checkout also proffers up international phone support. Its customer service team are friendly, and will get you set up within 24 hours. Ready to start selling and become an ecommerce wizard? Compare quotes from top providers of online payment systems here. Or to find out more, explore more of our top picks of the best merchant account providers for ecommerce. What is a payment gateway? It’s basically a piece of software, provided by an online payment service provider, that helps ecommerce businesses to process card transactions. Why should you care? Because it’s an inexpensive, secure, and efficient way to take payments online. How do you choose one? Keep reading. SagePay is a leading payment gateway provider in the UK. It offers leading payment systems and software to help grow your business. Its responsive payment gateway allows for one-click ordering, and automates repeat payments you’re owed. SagePay accepts all major credit cards, and boasts superb PayPal integration. So no matter how your customers prefer to pay, you’ll have them covered. Cardstream offers an online payment solution that can be fully customised to suit your business’ branding. That means no Cardstream logos, and no off-site transaction page: just a smart, secure, and scalable online payment gateway that’s fully integrated into your ecommerce platform. It’s also the only independent payment gateway offering a white label payment system for businesses… not bad! No payment gateway providers list would be complete without Amazon Pay. Why? Simply put, the retail giant is one of the best online payment processors for small businesses. Its simple application form takes minutes to complete, and you can start trading on the same day. Coming with the backing of a truly colossal brand, Amazon’s payment gateway is slick, streamlined, and easy to trust. To compare more payment gateways and choose the best one for your business, check out our payment gateway comparison, or request quotes now. Virtual terminals let your business take card payments over the phone. There’s no need for an extra phone line, or any expensive equipment. Like a payment gateway, a virtual terminal provides the connection between the seller and the buyer. It’s crucial if you do any business over the phone, or want to take payments remotely. Let’s take a look at some of the virtual terminal suppliers that are leading the rest. Worldpay is a giant in the global card payment processing arena, and excels in providing effective, easy-to-use card processing solutions. Its virtual terminals are no exception: with a simple interface, risk management tools, and real-time reporting, Worldpay has the bases covered. This leaves you with more time to take payments and develop your business. And with a small, straightforward monthly fee, it’s as cheap as a subscription to your local paper. PayVector’s virtual terminal is a web-based application that’s flexible and easy to use. PayVector gets rid of any need for a physical terminal, enabling you to take and manage payments through its online system. Add in customisable anti-fraud features and zero set up fees, and PayVector is a solid, reliable virtual terminal option for your business. The aptly named Web Merchant Services offers a range of no-frills online payment solutions to boost your small business. Its virtual terminal is designed for modern business, so you can use it on any device, from anywhere… anytime! It also promises daily payouts, so your bank account will stay looking healthy. Want to read more in-depth virtual terminal write-ups and comparisons? Explore our virtual terminal reviews page for the lowdown on more of the UK’s top providers. Even if your business operates in a lower risk industry like retail, you’ll still want a merchant account with features tailored to what you do. Retail businesses need low fees, portable credit card machines, and payment gateways that’ll handle regular (and hopefully big!) online shopping orders. If this sounds like you, why not fill in our short form to get tailored quotes for your retail business? Alternatively, you can read on for the best retail credit card processing companies. Card Cutters is a Nottinghamshire-based company bringing card payment solutions to over 5,000 businesses across the country. Its competitive card machine rental rates and UK-based support makes it ideal if you’re in retail. And its dependable payment gateway and virtual terminal mean that you’re not just limited to selling in-store. Plus, Card Cutters have combined with EPOS Now to provide a complete electronic POS system that’s tailored to the retail industry. The result? Less hassle, better service, and happier customers. Ever had a niggling feeling that you might be overpaying to sell online? CashFlows can help. It claims to offer card payment services at “substantially lower rates” than its competitors. 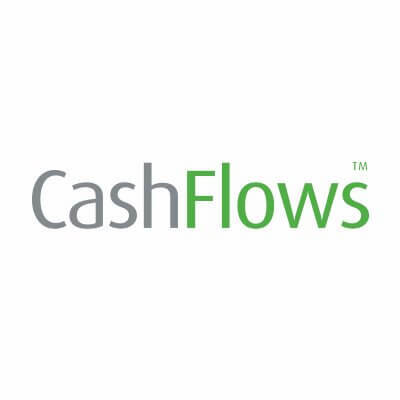 CashFlows also offers speedy on-boarding, real-time reporting, and friendly customer service. With specific solutions for retail, hospitality, healthcare and more, Global Payments knows what makes your business tick. It recognises that in retail, the speed and ease of taking payments can be the difference between a sale and a missed chance. That’s why Global Payments will help protect your business against fraud, while ensuring your customers are getting the smoothest – and quickest – retail experience possible. If you’re in charge of a nonprofit, it’s essential you choose a payment processing service that knows the industry. Why? Well, not only are they committed to growing and supporting charities, they’re cheaper, and some offer discounts for nonprofits. Let’s look at three of the best. iATS payments is the world’s leading provider of debit and credit card processing for nonprofits. It’s the go-to for over 10,000 businesses around the world, and handles billions of dollars every year. You can create event-specific pages in a matter of minutes. And by customising its smart payment form to match your website’s design, you’ll make sure your site’s users enjoy a smooth and comfortable journey through the donation process. Braintree – owned by industry giant PayPal – is a world-renowned platform for accepting card payments. And though you might not have known it, it excels in providing merchant solutions for nonprofits, too. As well as offering your donors “almost any way to pay,” Braintree can help your charity cut out fraud and reach a new generation of donors through mobile and web. And if that wasn’t enough? Braintree offers special pricing for nonprofits, too, letting you free up cash flow for what matters most. Blackbaud deals exclusively with software for nonprofits, and boasts some of the industry’s best tools for processing payments. Blackbaud handles all your transactions, and you’ll get access to everything you need from a free, secure online portal. Here you can manage your data, create reports, and have all your latest donation figures at your fingertips. Interested in finding the right solution to take payments at your charity? We can help. Click here to compare quotes from top suppliers, or read more with our guide to the best merchant accounts for nonprofits. Whether you’re running a hotel, restaurant, pub, or cafe, you’ll need the right merchant account. The best merchant services for hospitality provide portable, dynamic card machines for taking payments from your establishment. They can also set you up to take payment for orders and table reservations online. The best merchant accounts for hospitality also have low fees, and are capable of processing large amounts of smaller transactions. They’ll also help streamline your service, making for happier staff and customers. Here are our top picks. 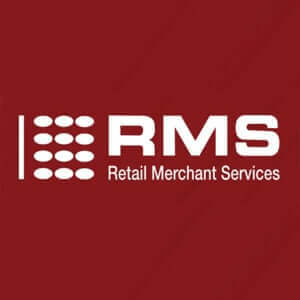 Retail Merchant Services promises low-cost card payment solutions with same-day settlement of funds. It offers card terminal rental, as well as a virtual terminal for accepting card payments over the phone. RMS has a long history of helping UK cafes and restaurants thrive, and counts hotel goliath Best Western among its top clients in the hospitality industry. Fidelity Payment is one of the largest merchant payment processors in the world, handling over £1 billion of credit card transactions in the UK alone every year. Your business benefits from a dedicated account manager and 24/7 support. Plus, when you’re rushed off your feet during service, you can’t afford to stop taking payments – which is why Fidelity promises to answer 90% of calls in under 10 seconds to help with any technical issues. Not bad! Barclaycard offers a full complement of card payment services, with solutions for taking card payments face-to-face, online, and over the phone. It offers some of the best merchant account rates of any provider, especially on mobile and countertop card machines. Combine this with a focus on UK businesses and a reputation for reliability, and hey presto! Barclaycard emerges as one of the top merchant accounts for hospitality. Want to know more about how the right merchant account can boost your bar, cafe, restaurant, popup, or hotel? Start taking payments at your business with the best merchant services for hospitality. Let’s face it: merchant account fees are always going to be important factors when choosing your payment service provider. And the difficult thing when deciding is that many providers don’t disclose pricing information at all; instead, they’ll give you a bespoke quote based on the size of your business and card payment volume. To make sure you’re getting the best deal for your business, you’ll need to compare merchant accounts from multiple providers. Luckily, this is where we can help. Click on one of the icons below to start finding the cheapest merchant services for your business.